It’s the week before spring break, so I’m kicking my cardio routine up a notch in order for any last minute miracles to come my way 🙂 I get extremely bored staying on the same cardio machine, and it’s a miracle if I make it 30 minutes on them. I would much rather get my heart rate pumping with a circuit training routine, because it makes the time go by much faster when I’m constantly changing up the movements… plus you’re toning at the same time! 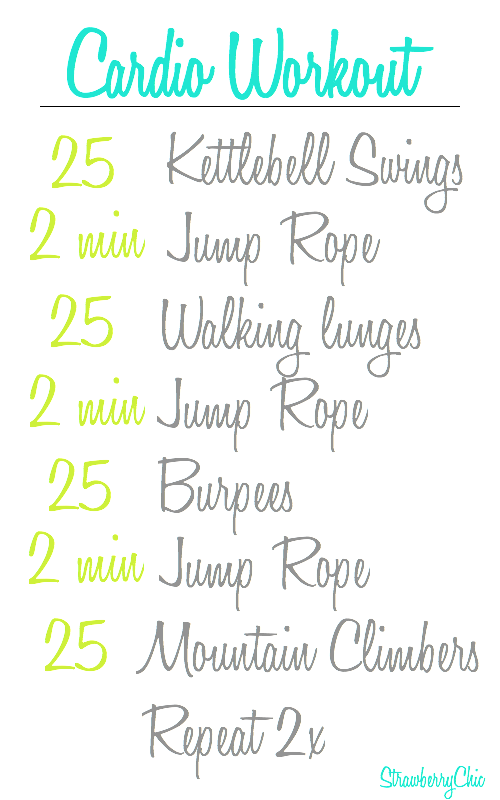 This routine will get you more like 40-50 minutes of cardio training. Bonus points if you finish up with abs! That routine definitely looks fun. I like how well rounded and diverse it is. Kudos to you for coming up with a nice regimen! Anyway, I have to agree with the other commenters that those boots do look good on you. They are so cute. Haha! Stay fit and healthy, Amanda!